Always keep within reach the phone numbers for your veterinarian, emergency clinic, poison control center, etc. Keep a copy of your pet's health records where you can easily find them. You may also want to invest in a book that covers first aid procedures. Ask your veterinarian for recommendations. For example, the ASPCA's Complete Dog Care Manual and Complete Cat Care Manual have excellent information on first aid principles, as well as what to do in case of traffic injury. The book also contains useful information on how to perform artificial respiration and what steps to follow in case of poisoning, burns, insect bites, etc. 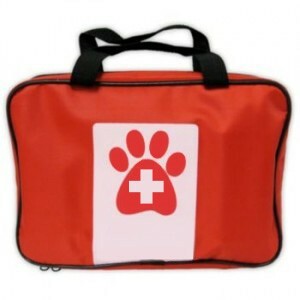 Have a pet carrier so you can safely transport your pet to an emergency clinic or veterinary hospital. Remember: An injured or ill pet may not act like its normal, sweet-tempered self. Handle the pet with care so you don't get bitten or scratched and need emergency treatment yourself!